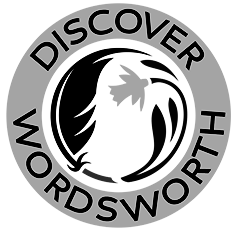 Find out about the fascinating creative characters associated with Kendal over the centuries as you explore this vibrant town and climb to its castle viewpoint. Hepworth's distinctive bronze Oval Form - Trezion, dating from 1962-3, resides on the lawn leading to Abbot Hall Art Gallery. This landscape was painted in 1922, two years before Nicholson and his wife, Winifred moved into Banks Head - a farmhouse overlooking Cold Fell that was their home until 1931. George Romney, born in Dalton-in-Furness in 1734, was an accomplished, popular and prolific painter - producing about 2,000 paintings and 5,000 drawings during his lifetime. The Great Picture is a monumental triptych painted in 1646, attributed to Jan van Belcamp, featuring Lady Anne Clifford’s family history and accomplishments. Arthur W Simpson, a master craftsman of the Arts & Crafts movement, had his first workshop in Kendal. There is a room dedicated to master craftsman Arthur W Simpson at MOLLI and numerous exquisite examples of his wood engraving can be seen in the rooms at Blackwell, The Arts & Crafts House, near Windermere. Joseph Hardman was a photographer who captured images of Lakeland life between the 1930s and 1960s - MOLLI now holds over 5000 of his original glass slides. 1 With your back to the Museum of Lakeland Life and Industry and facing Abbot Hall Art Gallery, turn left and then right, to follow the track to the left of Abbot Hall Art Gallery towards the River Kent. A Note the distinctive Barbara Hepworth Trezion sculpture on the lawn leading to Abbot Hall Art Gallery. This Oval Form, dating from 1962-3, invites you to view both around and through it. Hepworth was one of the St Ives artists, part of the modernist movement, which also included Ben Nicholson, to whom she was married from 1938 to 1951. Nicholson’s ‘Cold Fell’ is on display in Abbot Hall Art Gallery. 2 Turn right beside the River Kent. B Because of its significant drop in height over a short distance, the Kent is one of England’s fastest flowing rivers, making it ideal for powering mills. There are records of fulling mills along its banks as far back as the twelfth century. 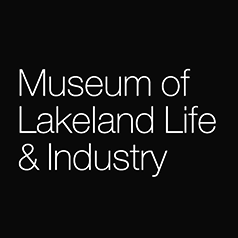 Make sure you spend some time after the trail in the Museum of Lakeland Life and Industry to discover more about the amazing heritage of the Lakes. 3 At the bridge, cross the road, continuing with the river on your left. 4 About 90 metres beyond the bridge, just before South Road, you will see a white, three-storey house on the right. C This building was home to George Romney, one of the eighteenth century’s foremost portrait painters. 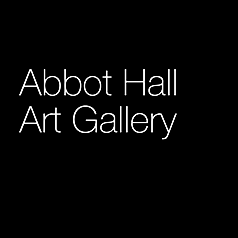 Several of his impressive works are on display in Abbot Hall Art Gallery, including his painting of the second Earl Gower’s children. Turn round and retrace your steps to the road bridge. Cross the River Kent here. 6 In 80 metres, turn left along Parkside Road. 7 After 400 metres, as you draw level with the edge of Kendal Town FC’s grounds, head up the steps on the left – signposted Kendal Castle. 8 Reaching open ground at the base of Castle Hill, head up the grassy trail immediately ahead. 9 Turn right along a gravel path above the castle moat. D Kendal Castle was the family home of Catherine Parr, one of Henry VIII’s wives. Another formidable Tudor woman with Cumbrian links was Lady Anne Clifford whose castles still stand in the east of the county. The Great Picture triptych showcasing Lady Anne’s accomplishments is on display in Abbot Hall Art Gallery. 10 The castle precincts can be entered on the far (northern) side. Having explored, exit the way you came in and keep straight ahead on grass. 11 Go through the gate at the bottom of the hill and turn left along Castle Road. 12 Turn left again at the T-junction with Castle Street. 13 On encountering no-entry signs, keep straight ahead. Follow this road round to the right. 14 At a crossroads, turn left to cross the River Kent. E Watch for a Kendal Civic Society plaque on the right, indicating the former site of Stramongate School. John Dalton, brought up near Cockermouth in the north of the county and regarded as the ‘father’ of modern chemistry, taught here in the eighteenth century. 15 As the one-way traffic swings left, keep straight ahead, passing the Quaker Tapestry and Meeting House on your left. F The Quaker Tapestry houses an enormous embroidery telling the story of the Quaker movement. Arthur W Simpson, a master craftsman of the Arts and Crafts movement, was a Quaker. 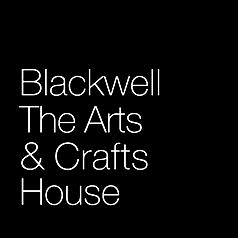 There is a room of Simpson’s wood engraving on display at the Museum of Lakeland Life and Industry, along with numerous exquisite examples in the rooms at Blackwell, The Arts & Crafts House. 16 At a crossroads, continue up Stramongate. 17 As the road swings left, keep straight on, entering the pedestrianised area of Finkle Street. G Watch for the Nationwide Building Society on the left. Immediately after this is an alley – Berry’s Yard. This is where Arthur W Simpson had his first workshop. 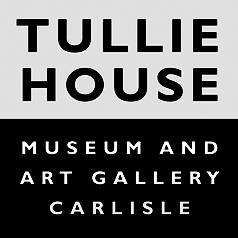 His trade sign is on display in the Museum of Lakeland Life and Industry, and some of his most famous work can be seen at Blackwell, The Arts & Crafts House, near Windermere. 18 At the top of Finkle Street, turn left along Highgate. 19 Turn right at the crossroads up Allhallows Lane – note the commemorative Romney plaque on the wall of Kendal Town Hall. H The Hardman Photo Library at the Museum of Lakeland Life and Industry features two images taken by Lakeland photographer Joseph Hardman of sheep being herded along Allhallows Lane in the middle of the twentieth century. 20 As soon as the road swings left and becomes Beast Banks, watch for a narrow gap between the buildings on the left. This provides access to the cobbled alleys of Collin Croft. Head down through the first narrow section. As the yard opens out, follow it to return to Highgate. I Collin Croft was built as a pottery warehouse in 1851. A particularly atmospheric picture in the Hardman Photo Library shows a mother and child climbing the steps here. 21 Turn right along Highgate, which eventually becomes Kirkland. J There are many interesting buildings and yards in this area of Kendal – it’s well worth exploring. On your right in a short while is Sandes Hospital, constructed as a school and almshouses for the poor by seventeenth-century cloth merchant Thomas Sandes. 22 After 320 metres, turn left along Peppercorn Lane. This leads back to Abbot Hall Art Gallery and the Museum of Lakeland Life and Industry.